This 128-page book is filled with inspiring step-by-step mixed-media projects from seven talented artists, each one sharing his or her own unique style and techniques. 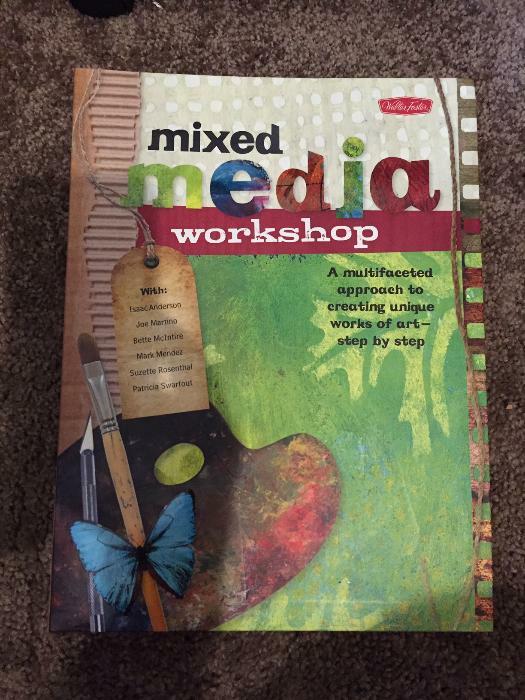 From collage and artist trading cards to portraits and still lifes, this book encompasses both abstract and fine art approaches to mixed media. First the reader is introduced to traditional painting and drawing tools and materials, and then each artist describes his or her own unconventional ingredients and personal approach to mixed media. Next they guide the reader through several step-by-step projects, each one demonstrating different techniques and components. Aspiring artists will learn how to alter photographs and incorporate them into paintings and collage, how to create three-dimensional texture on a two-dimensional surface, how to balance the fundamentals of art with abstract designs, and even how to create a poem out of a daily newspaper. The lessons in this comprehensive guide will give a beginner all the tools they need to start creating their own unique works of mixed-media art. Please let me know if you have any questions. Happy Bidding!